For three reasons 26 July is a historic day and that’s today’s topic of this blog. First, Liberia. In July 1847 a Constitutional Convention convened in Monrovia which at that time had approximately 1,000 inhabitants. The towns of Monrovia, New Georgia, Caldwell and Millsburg in Montserrado County, Marshall, Edina, Bexley and Bassa Cove – Buchanan in Grand Bassa County and Greenville in Sinoe County sent eleven delegates to the Convention: 6 from Montserrado County, 4 from Grand Bassa County and 1 from Sinoe County. 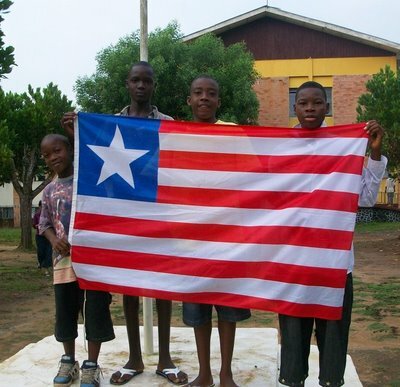 Liberia was declared a Free, Sovereign and Independent Nation on 26 July, 1847. The constitution of the republic differed only in some aspects from the U.S. Constitution. Also the Liberian flag closely resembles the American national symbol. The eleven stripes of the Liberian flag refer to the eleven delegates to the Constitutional Convention, who signed the Declaration of Independence. The eleven men were: Samuel Benedict, presiding the convention, Hilary Teague, Elijah Johnson, John N. Lewis, Beverly R. Wilson and J.B. Gripon (representatives of Montserrado County); John Day, Amos Herring, Anthony W. Gardner, Ephrain Titler (representatives of Grand Bassa County); and Richard E. Murray, representative of Sinoe County. The independent state of Maryland in Africa, created in 1854, joined Africa’s first republic in 1857. 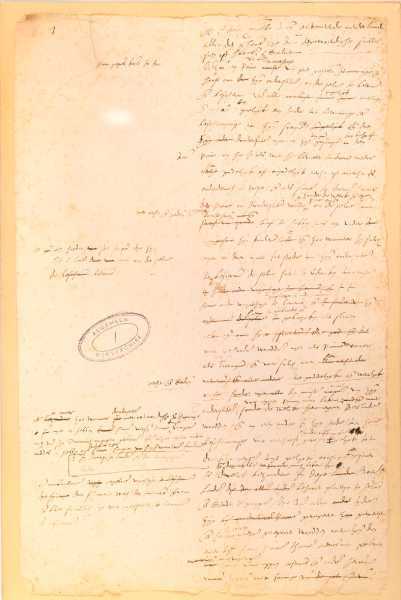 The 1581 Act of Abjuration is known to have served worldwide as an exemple, e.g. for the authors of the U.S. 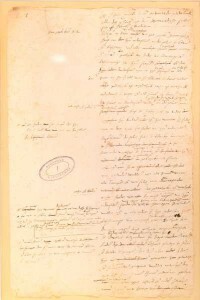 Declaration of Independence (1776) as well as for the French revolutionaries who abolished the monarchy and established the French Republic (1789). Hence, indirectly, the Act of Abjuration was a source of inspiration for the constitutions of the 20th century, e.g. in Africa. Thirdly, 26 July …. is my birthday. What a coincidence, to be born on this historic day. So today I celebrate my birthday, the independence of my country, and Liberia’s independence! Have a Happy 26 July!!! This entry was posted in Liberia, Liberian History. Bookmark the permalink.